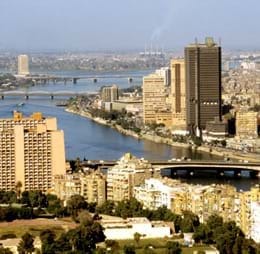 There are countless tourist attractions that can be listed but the sites in Cairo that cannot be missed are Egyptian Museum, Cairo Tower, the Citade of Cairo, Giza Pyramids, Sphinx, Heliopolis, al-Azhar Park, shopping at the Khan al-Kalili bazaar, etc. This vibrant city exhibits the wonders of the Arab world and uncovers the authentic hidden pleasures of the sights and tastes of the host of known delights. Cairo has always been a great place to shop for traditional items because of its spectacular medieval marketplace. The Khan al-Khalili market in Cairo is all about bargaining and window shopping. There is no tried-and-true bargaining strategy; just shop around. Apart from shopping there are many coffee shop vendors selling Arabic coffee along with Shisha and street food is still seen in the market place. Night life in Cairo is only public entertainment with family and friends. Guests can enjoy the cafes for smoking Shisha and many other activities. Egypt‘s capital has a rich heritage of rustic street fare and more modern takeaway restaurants opening across the city. The street food in Cairo is an exciting mix of traditional African and foreign cuisine. The transport system in Cairo is very efficient and there is no difficulty in reaching out to any destination from the city. Cars, Buses, coaches and trains are popular modes of transport in and around the city. Cairo has meteoric air-conditioned black and white taxis which can be booked just one hour before journey. The International Airport of Cairo serves the air traffic with four terminals. The terminal 1 is locally known as the ‘Old Airport’ and terminal 2 is still known as the “New Airport”. Terminal 4 is operated for seasonal flights. Terminal 1 – It has 4 halls and 12 gates. Major Middle East airlines including the national airline of Egypt, Egypt Air operate from this terminal. Terminal 2 – It has got 7 boarding gates primarily serving European, Gulf and East Asian airliners. Terminal 3 – There are 2 piers and 32 gates which are used to serve all the domestic and international traffic on contact and remote stands. This terminal is connected with bridges and flyovers for movement of the travellers to and from the terminal building and the car parking areas. Terminal 4 –All the Hajj passengers of Saudia airliner are served by terminal 1 and the Hajj passengers of EgyptAir are served by this terminal. It is designed to handle a total strength of 3.2 million people with 27 check-in counters and 7 gates handling around 1200 passengers per hour. The Cairo Airport Shuttle Bus also called the Micro bus and airport taxis are the famous modes of transport to travel to major places of the city. There are many ways to travel to Cairo airport. Categorized from A to D are the Luxury Limousines, Micro Buses, Midsized cars and London Taxis respectively. There are many cars and taxis are available on rentals. Cairo boasts of several budget hotels and has many state-of-the-art 5-star luxury hotels that offer an engaging environment and exceptional culinary experiences to their guests. Apart from a host of contemporary amenities like fitness centers, Wi-Fi, bed and breakfast benefits, most of the Cairo Hotels have world-class hospitality combined with scenic outside views to delight the guests.